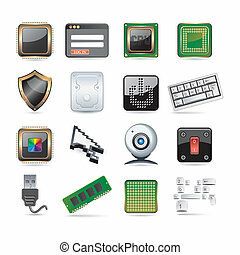 Computer parts icon set. 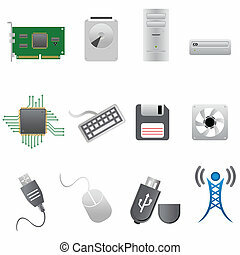 Computer parts and computers icon set. 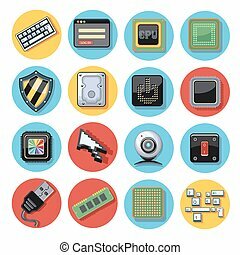 Computer icon set. Color flat design. Vector illustration. 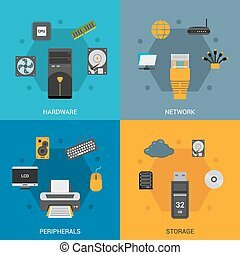 Thin line flat design computer service and parts vector icon set. 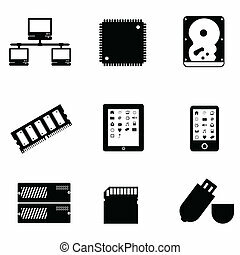 Computer parts vector icons set in black. 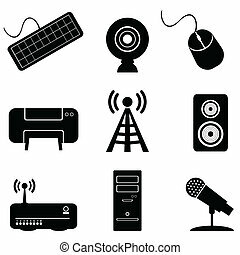 Electronic computer icon set. Internet Button vector illustration.